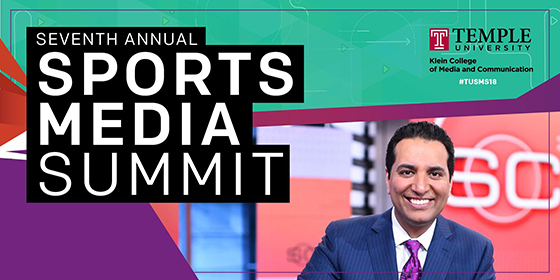 Klein College held its seventh annual Sports Media Summit last November featuring Temple alum and ESPN SportsCenter anchor Kevin Negandhi as its Keynote Speaker. Negandhi, a Klein College grad, spoke to an assembled group of current Temple students about what it takes to break into the business of sports media. Interspersed with memories of his time at Temple, Negandhi gave advice and provided invaluable insight into the industry and what makes it different from other career paths. Most importantly, he emphasized the value of hard work and loving what you do. 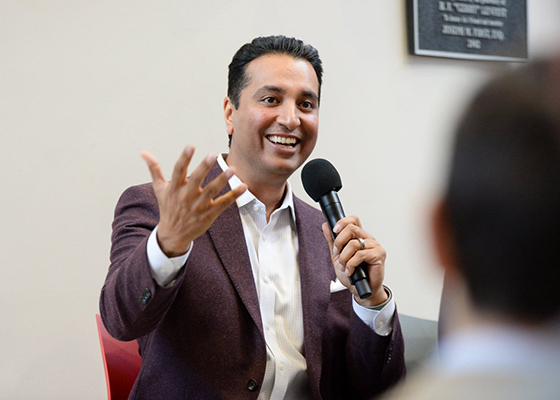 Tune in to TUTV Thursday, February 7 at 1 and 9 p.m. to hear how Negandhi got to where he is today in media.